and see how much you could earn as you spend. Representative Example: If you spend £1,200 at a purchase interest rate of 18.9% p.a. (variable) with a £0.00 monthly fee your representative rate will be 23.7% APR (variable). Representative Example: If you spend £1,200 at a purchase interest rate of 18.9% p.a. (variable) with a £2.00 monthly fee your representative rate will be 23.7% APR (variable). Representative Example: If you spend £1,200 at a purchase interest rate of 18.9% p.a. (variable) with a £0.00 monthly fee your representative rate will be 37.1% APR (variable). Representative Example: If you spend £1,200 at a purchase interest rate of 18.9% p.a. (variable) with a £7.00 monthly fee your representative rate will be 37.1% APR (variable). Representative Example: If you spend £1,200 at a purchase interest rate of 18.3% p.a. (variable) with a £0.00 monthly fee your representative rate will be 18.3% APR (variable). Representative Example: If you spend £1,200 at a purchase interest rate of 17.44% p.a. (variable) with a £0.00 monthly fee your representative rate will be 18.9% APR (variable). Avoid Incurring Charges There is a risk of incurring charges if you run over your limit or are unable to cover the balance of your card at the end of the month. Such charges will likely be greater than any saving than you will make by using the card, and therefore it is advisable that you only use a cash back card if you are very confident that you will be able to afford your monthly payments. Some cash back credit cards can have high interest payments which can outweigh the benefit of having a cash reward. For example if you're getting 5% cash back on your purchases but at the same time are paying 20% in interest payments then you're getting a good deal. As long as you avoid allowing your credit to roll over each month though, you'll avoid interest charges altogether. Cash rewards can also make the idea of spending money to earn the cash back attractive, when in reality you would be saving more money if you simply reduced your spending. This is especially true when different cards have different rates and with some cards the more you spend the greater the percentage of cash back per purchase you will be rewarded with. 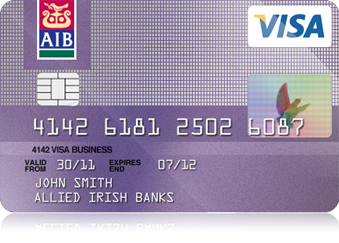 Some cash back credit cards also have an annual fee associated with them that can cost anywhere from £25 to £100. The annual fee will shave off a certain about of the money you get as a cash back, but depending the cash back rate you're getting, the card might still be saving you significant amount of money each year. For this reason you shouldn't avoid using a card altogether just because they have an annual fee. You are looking to make big purchases on items such as cars, furniture and holidays. This will enable you to make big savings in the way of high percentage cash backs. You are very confident that you will not have a problem in clearly your monthly accrued credit, and therefore avoid having to pay high interest rates. You are disciplined and will be able to resist any urge to overspend in order to attain cash back rewards. You are not looking to spend any more money but currently possess some debt that you want cleared. In this case you could looks at using a 0% interest transfer credit card. You are hoping to be able to borrow money for some purchases and want to be able to pay back the debt over an extended period while paying low interest rates. In this case you are better off with a low interest rate credit card. You find it difficult to avoid spending when there are benefits attached to making purchases.